3 nations through 1 keyhole | Where's my backpack? High up on Aventine Hill, overlooking Rome, lies a most unusual villa. 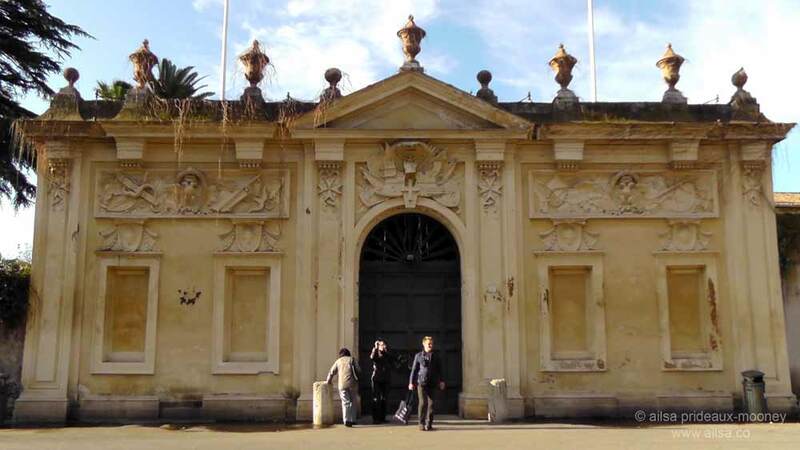 It is the Villa del Priorato dei Cavalieri di Malta, belonging to the Knights of Malta, otherwise known as the Knights of St. John Hospitaler. What makes it unusual is that the grounds of this ancient military order’s villa are recognized by the state of Italy as a sovereign nation. The villa serves as embassy for the Order of Malta to Italy and the Holy See. Three separate nations and three national capitals exist side by side within the boundaries of the city of Rome – Italy, the Vatican and the Knights of Malta. More unusual still, you can view all three nations through one single keyhole, and that keyhole is found in the door to this villa. 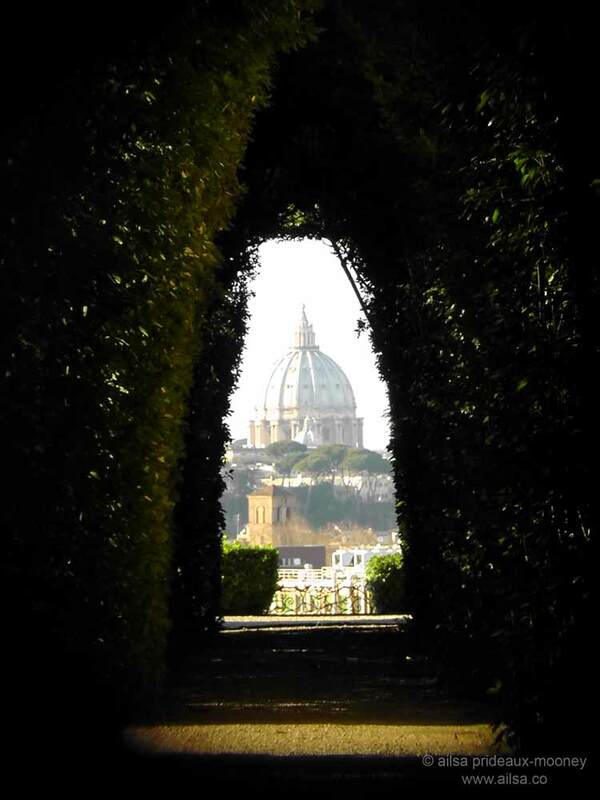 …across Rome, to the dome of St. Peter’s basilica in Vatican City, in perfect alignment with the neatly manicured cypress hedges and the keyhole. If you would like to see it for yourself, the villa is located on the top of Aventine Hill along Via di Santa Sabina at the Piazza dei Cavalieri di Malta. 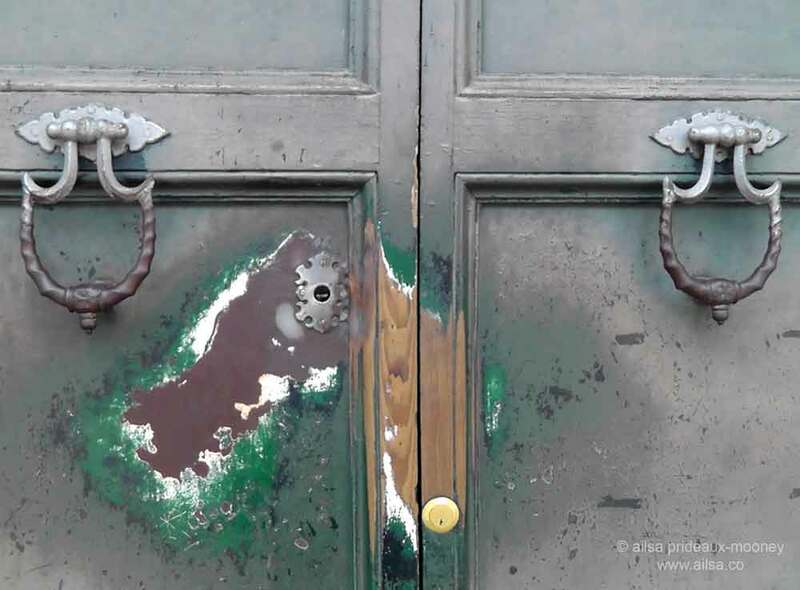 This entry was posted in Italy, Photography, Travel, Travel tips and tagged architecture, gardens, history, photography, photos, pictures, travel, writing. Bookmark the permalink. It’s really stunning, isn’t it, Suzanne? How unusual. Can you actually go into the grounds? Or are you limited to peeping? It’s not open to the public although I believe you can apply for a permit to visit – I’ve seen footage filmed inside the gardens and they look amazing. I shall have to investigate if I ever get to Rome! Fantastic! That’s what you call a view, and I call a glimpse of history…. Love the shot through the keyhole. 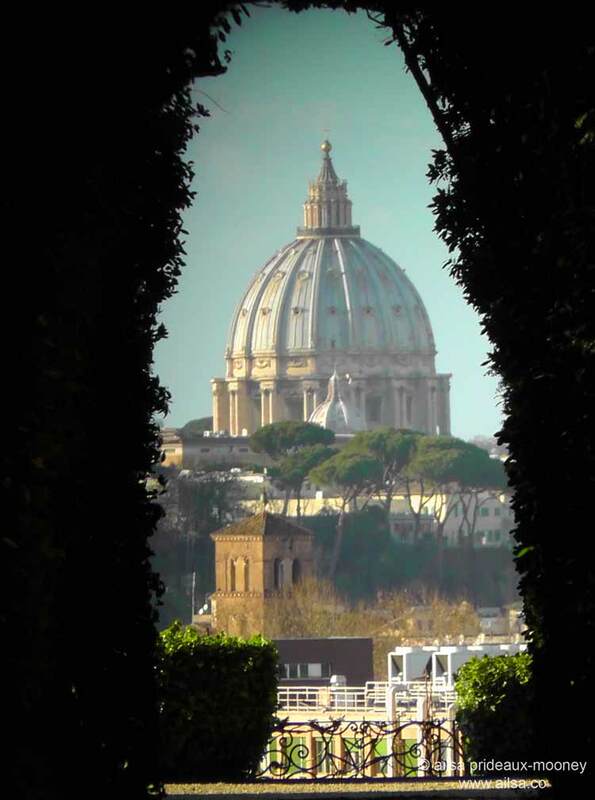 Thanks Colline, it’s such a charming surprise when you peep through the keyhole and see the beautifully framed view of the basilica. What a fabulous and intriguing shot. Love it! Wonderful! I want to go there now and peep through the keyhole. Intriguing indeed. Thanks for sharing! Best shot of the best shot of the dome of St. Peter’s basilica. Just gorgeous shots Ailsa! 🙂 Love them all. Yes that photo you took is a keeper!!!! It’s a beautiful sight, Tienny! What a wonderful post, filled with knights and magical keyholes. Those photos are stunning, what an amazing place. Did you know about the view before peeping….or was it a delightful surprise? A most wonderful perspective on the world! I’d never heard of this. What a fascinating place. Wow! this is awesome! never heard of anything like this before! I’m going, I’m going. I’M GOING!! Fascinant!!! I have been in Roma once…A pity I did not know about it….Next time, it will be one of the first places!!! Thanks a lot for sharing it!!!! This is absolutely one of the best spots in Rome. Great shots! I liked this post yesterday and tonight I went to see the film The Great Beauty by Paolo Sorrentio and there is a scene at night when the main character gets taken through that door and walks into that vista. Serendipity! Fascinating ost and brilliant photograph.